Alonso-Garcia, S., J. Gomez-Gil, and J. I. Arribas, "Evaluation of the use of low-cost GPS receivers in the autonomous guidance of agricultural tractors", Spanish Journal of Agricultural Research, vol. 9, pp. 377-388, 2011. Arribas, J. I., G. V. Sanchez-Ferrero, G. Ruiz-Ruiz, and J. Gomez-Gil, "Leaf classification in sunflower crops by computer vision and neural networks", Computers and Electronics in Agriculture, vol. 78, pp. 9-18, 2011. Arribas, J. I., V. D. Calhoun, and T. Adali, "Automatic bayesian classification of healthy controls, bipolar disorder, and schizophrenia using intrinsic connectivity maps from fMRI data", IEEE Transactions on Biomedical Engineering, vol. 57, pp. 2850-2860, 2010. Tristán-Vega, A., and J. I. Arribas, "A radius and ulna TW3 bone age assessment system", IEEE Transactions on Biomedical Engineering, vol. 55, pp. 1463-1476, 2008. Casaseca-de-la-Higuera, P., J. I. Arribas, E. Muñoz-Moreno, and C. Alberola-Lopez, "A comparative study on microcalcification detection methods with posterior probability estimation based on Gaussian mixture models", Engineering in Medicine and Biology Society, 2005. IEEE-EMBS 2005. 27th Annual International Conference of the: IEEE, pp. 49–54, 2005. 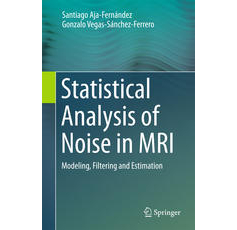 Arribas, J. I., J. Cid-Sueiro, and C. Alberola-Lopez, "Estimation of Posterior Probabilities with Neural Networks: Application to Microcalcification Detection in Breast Cancer Diagnosis", Handbook of Neural Engineering: Wiley Online Library, pp. 41–58, 2005. Arribas, J. I., and J. Cid-Sueiro, "A model selection algorithm for a posteriori probability estimation with neural networks", IEEE Transactions on Neural Networks, vol. 16, pp. 799-809, 2005. Tristán-Vega, A., and J. I. Arribas, "A radius and ulna skeletal age assessment system", 2005 IEEE Workshop on Machine Learning for Signal Processing, Mystic, CT, 2005.
de Luis-Garcia, R., M. Martin-Fernandez, J. I. Arribas, and C. Alberola-Lopez, "A fully automatic algorithm for contour detection of bones in hand radiographs using active contours", IEEE International Conference on Image Processing, Barcelona, 2003.
de Luis-Garcia, R., M. Martin-Fernandez, J. I. Arribas, and C. Alberola-Lopez, "A fully automatic algorithm for contour detection of bones in hand radiographs using active contours", Image Processing, 2003. ICIP 2003. Proceedings. 2003 International Conference on, vol. 3: IEEE, pp. III–421, 2003. Wu, Y., and J. I. Arribas, "Fusing Output Information in Neural Networks: Ensemble Performs Better", Annual International Conference of the IEEE Engineering in Medicine and Biology - Proceedings, Cancun, 2003. Arribas, J. I., C. Alberola-Lopez, A. Mateos-Marcos, and J. Cid-Sueiro, "Neural posterior probabilities for microcalcification detection in breast cancer diagnoses", Neural Engineering, 2003. Conference Proceedings. First International IEEE EMBS Conference on: IEEE, pp. 660–663, 2003.
de Luis-Garcia, R., J. I. Arribas, S. Aja-Fernández, and A. C Lopez, "A neural architecture for bone age assessment", Proc. of the IASTED International Conference on Signal Processing, Pattern Recognition & Applications, pp. 161–166, 2002. Cid-Sueiro, J., J. I. Arribas, S. Urban-Munoz, and A. R. Figueiras-Vidal, "Cost functions to estimate a posteriori probabilities in multiclass problems", IEEE Transactions on Neural Networks, vol. 10, pp. 645-656, 1999. Arribas, J. I., J. Cid-Sueiro, T. Adali, H. Ni, B. Wang, and A. R. Figueiras-Vidal, "Estimates of constrained multi-class a posteriori probabilities in time series problems with neural networks", Proceedings of the International Joint Conference on Neural Networks, Washington, DC, USA, IEEE, United States, 1999. Arribas, J. I., J. Cid-Sueiro, T. Adali, and A. R. Figueiras-Vidal, "Neural architectures for parametric estimation of a posteriori probabilities by constrained conditional density functions", Neural Networks for Signal Processing - Proceedings of the IEEE Workshop, Madison, WI, USA, IEEE, Piscataway, NJ, United States, 1999.